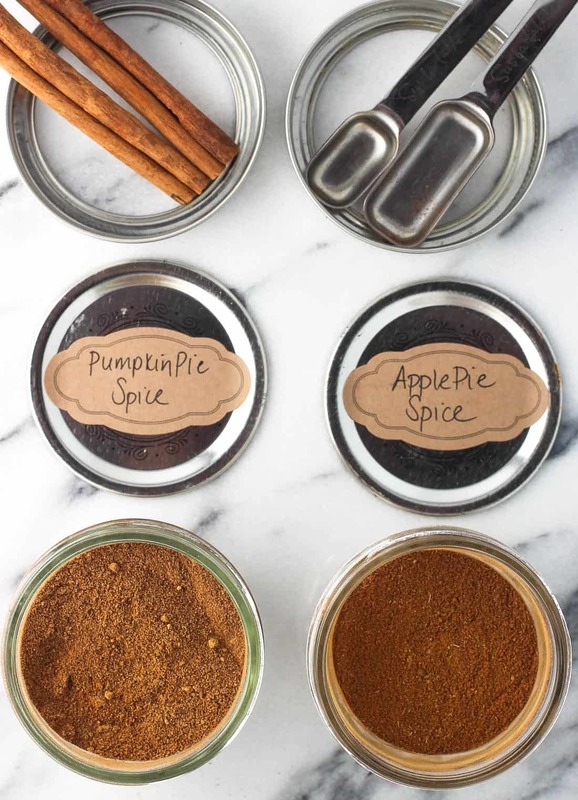 It’s SO easy to make your own pie spices – both apple pie spice and pumpkin pie spice. The two mixes use almost the same spices (ones that are probably in your cabinet right now), and simplify the steps in your baking recipes. There’s no need to buy premade pie spices again! 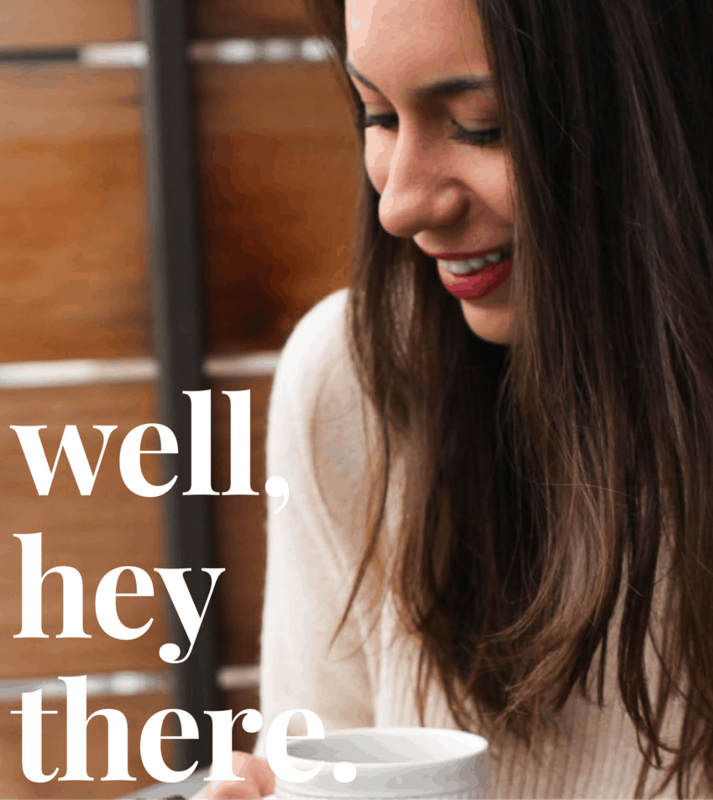 Today’s post is something simple, something useful, and something maybe even a little…basic. I’m going to roll with it and own it, because apple pie spice and pumpkin pie spice are two spice blends that have made their way to the front row of my spice shelf. And for good reason! 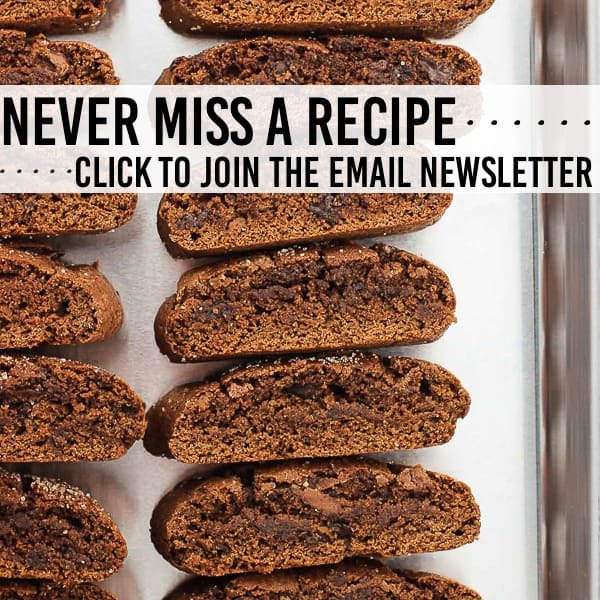 They cut down on all the scooping/measuring/repeating that comes along with adding each individual spice to a recipe, and are at the ready for adding new flavors to all kinds of cookies, cakes, muffins, and more. Plus, mix them up in little jars, slap a label on them, and they’re ready to roll for fall gifting. What’s easier than that? 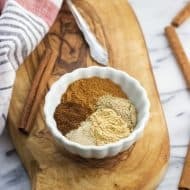 You’ll find numerous variations on homemade apple pie and pumpkin pie spices out there, but I’m partial to the ratios of individual spices used here. Of course, feel free to tweak the ratios to fit your tastes if you know you’re not the biggest fan of cloves, ginger, etc. 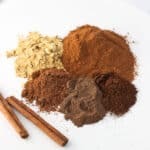 My apple pie spice uses four ground spices – cinnamon, nutmeg, allspice, and cardamom. Cinnamon far and away has the biggest piece of the pie (ba-doom tsss) in the blend, with nutmeg coming in a distant second. I tend to have a heavy hand when it comes to adding cinnamon to recipes, but I’m the opposite when it comes to nutmeg. 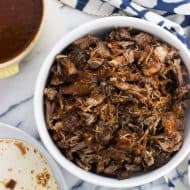 For me, it’s one of those spices where the moment I add one pinch too many, it’s all I can taste in the final product and I’m instantly regretting it. Hence why I kept the quantity of nutmeg conservative here. Rounding out the mix are equal parts allspice and cardamom. I resisted buying cardamom for the longest time because in my mind it was one of those pricey spices that I couldn’t justify purchasing. Usually I left it out when it was following a recipe that called for it, saying ehhh, who will know? 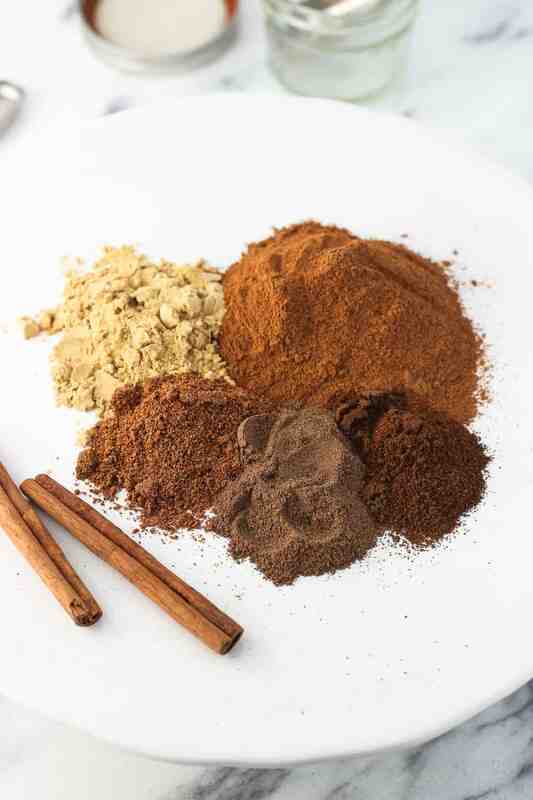 My pumpkin pie spice uses five ground spices – cinnamon, ginger, nutmeg, allspice, and cloves. As with apple pie spice, cinnamon is the base here, with nutmeg and allspice included in the mix. 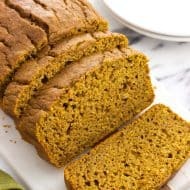 However pumpkin pie spice gets a big burst of ginger, which is a mainstay in pumpkin pie and other pumpkin baked goods. 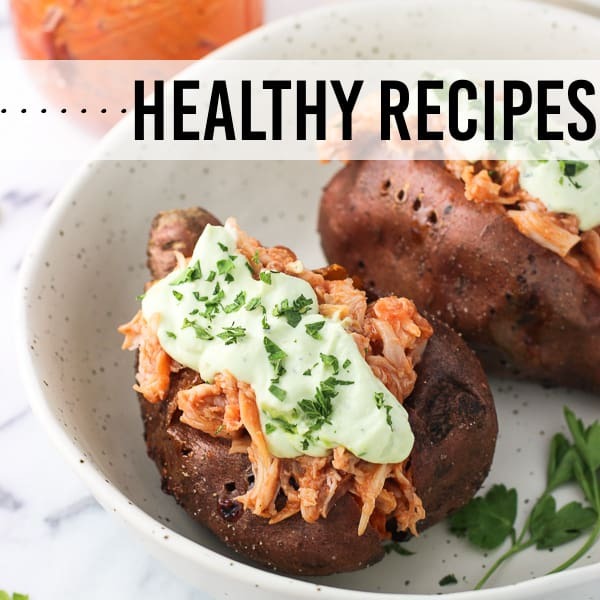 I love the taste of ginger so there’s a fair amount in here, but if you’re less of a fan, you can decrease the quantity by one half or one whole teaspoon. The other spice change between apple pie spice and pumpkin pie spice is that the cardamom that goes in the apple pie spice is switched out here for cloves, which give it a warm and distinctive touch. 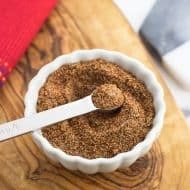 Ground cloves do have a strong flavor and could potentially become overpowering, so I’d suggest not overdoing it on those. Now comes the fun part – putting them to use! Here are ten recipes that call for either apple or pumpkin pie spice. 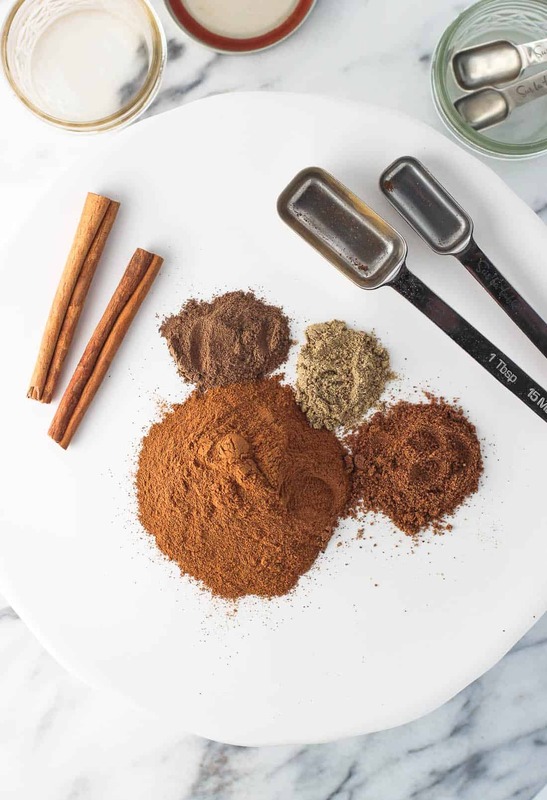 It’s SO easy to make your own pie spices – both apple pie spice and pumpkin pie spice. 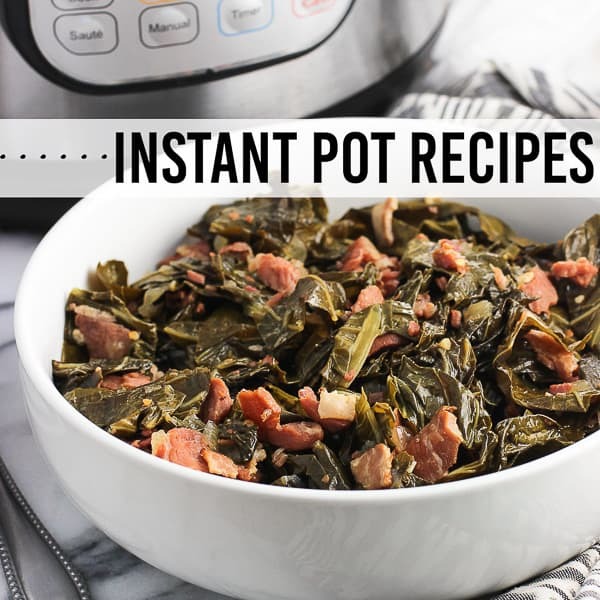 The two mixes use almost the same spices (ones that are probably in your cabinet right now), and simplify the steps in your baking recipes. 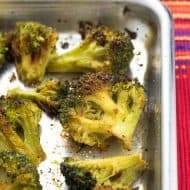 There’s no need to buy pre-made pie spices again! For either the apple or pumpkin pie spices, mix spices together in jar(s). Enjoy! I love making my own spice blends and have one coming out later this week! It’s so nice being able to customize the spices just the way you want them — these are perfect to have around to use all autumn long! Great post! Making your own pie spices is where it’s at! 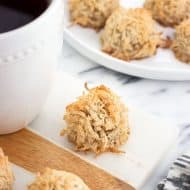 So easy and I love that you can customize them to your taste! Thank you so much for including my cinnamon apple pie granola! Cheers!